And, enable progression from skill sets, certifications, certificates of applied science to associate in applied science degrees for Occupational and Technical Studies programs. BridgeValley appreciates lifelong education and is responsive to adults who wish to achieve educational and career goals. The Workforce and Economic Development staff designs programs, services, and delivery systems to present comprehensive educational opportunities, based on the capabilities of BridgeValley full-time and adjunct faculty. We serve independent learners and adults associated with business, industry, labor unions, governmental and educational agencies, and non-profit organizations in our six county service region of Clay, Fayette, Kanawha, Nicholas, Putnam, and Raleigh Counties. The Associate in Applied Science and Certificate in Applied Science programs in Technical Studies are designed to provide for cooperatively sponsored educational opportunities leading to associate degrees for employees/students participating in quality education and training programs sponsored by business, industry, labor, government, or agencies hereafter referred to as employers or agency. Required components in the program include general education and classroom instruction in a technical core and in the occupation area. College credit may be awarded for on-the-job training and/or supervised work based learning. A model curriculum, together with the components and allowable credit hours, is available upon request. Negotiated courses of study will be in conformity with this model. BridgeValley Community and Technical College cooperates with the USDOL/BAT in granting college credits to persons who complete registered apprenticeship programs leading to the USDOL Journeyman Certificates and delivers training to support an organization’s apprenticeship program, which together meet the requirements for the A.A.S. in Occupational Development. College courses are offered and taught by BridgeValley Community and Technical College faculty at the employees’ work site or at the Montgomery or South Charleston campus. BridgeValley will negotiate with local the Registered Apprenticeship Program (RAP) to create sponsored degree program curricula which includes student learning in three components: general education, classroom occupational training, and OJT occupational training. A minimum amount of general education is prescribed. The amount of classroom occupational training will be determined in large part by the number of classroom contact hours in the RAP. On-the-job training may be credited; a statement of the total number of OJT contact hours experienced by the RAP participants also may be placed on the college student record. A model curriculum, together with the components and allowable credit hours, is available upon request. Negotiated courses of study will be in conformity with this model. Possible examples include, but are not limited to, childcare workers, cooks, building and construction trade’s workers, chemical technology, plumbing and pipe fitting technology, and electrical and electronic technology. The following are the principal programs, and services, of continuing education in the BridgeValley WEDD. They are delivered in traditional classroom formats, online formats, or a blend of both traditional and online. Contract Classes are BridgeValley courses offered for adult learners at convenient locations such as work sites, local high schools, and other accessible community meeting facilities that are suitable for instruction. The courses may bear academic credit, or may be offered not for academic credit. Contract courses are taught by qualified full-time and part-time faculty and, if taken for credit, can be used to meet degree requirements should a learner decide to matriculate. Courses are delivered year-round, depending on employer/employee need and sufficient enrollment. Contract courses typically meet during a non-traditional semester and include the same number of instructional contact hours and academic content as courses presented on campus. Successful completers may, with prior approval, receive Credit Equivalency Units (CEUs) for professional development purposes. Some non-credit workshops have a vocational or recreational purpose and completers are not awarded CEU’s for their participation because these courses are for personal enrichment. Consistent with authority granted in the West Virginia Council for Community and Technical College Education Series 3, non-credit students may elect to have their non-credit training converted to credit and placed on their academic transcript. Certain non-credit workforce courses will be deemed worthy of credit using the rule established in WVCTCS Series 3. The chief academic officer of the community and technical college or designee approves the actual awarding of college equivalent credit. All students must complete BridgeValley admission requirements regardless of their intent to seek college credit. All non-credit students wishing to enroll in any of the courses which have been deemed worthy of credit will be initially admitted to BridgeValley as a non-degree seeking student and registered in the non-credit section of the course. Non-credit students will not have to submit transcripts to the Student Services Admissions staff, until the student desires to apply for academic financial aid, or when she/he changes her/his non-degree seeking status to identify a degree for which she/he wishes to pursue. 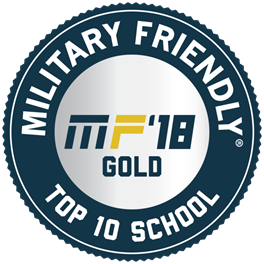 If a student has a military transcript, BridgeValley faculty and staff will determine if prior learning or competency has been documented through evaluation of that transcript. If a military transcript verifies applicable prior learning or competency, then that student will have an altered schedule that recognizes prior accomplishments of relevant learning outcomes. Students will be assigned a student identification number and BridgeValley email address within a week of the Student Services Admissions staff receiving the students’ admission application. Within the first two weeks of the non-credit course, each student will have the option to participate in the non-credit to credit conversion process. If a student elects to convert her/his non-credit training into college-level credit, she/he may do so by completing the Request to Convert Non-Credit Coursework to College Credit form. Once students are registered for credit section of the course, all academic policies contained in this catalog are applicable to the student. Grades awarded in noncredit classes will be a follows: “S” for satisfactory, “U” for unsatisfactory, “W” for Withdrawal, “D” for drop deleted, and an “I” for incomplete. Workforce students who elect to receive academic credit will be graded with the normal grading mode of BridgeValley. If a workforce course has a cooperative learning experience with industry such as an internship or a clinical rotation, students must demonstrate mastery at 80% as a minimum before they are sent to our affiliated organizations. BridgeValley workforce non degree-seeking students enjoy the same privileges and are held accountable under the same Board of Governor’s approved policies regarding academic rights and student responsibilities of conduct. Each of these polices are posted on the BridgeValley web page at http://www.bridgevalley.edu/bog-adopted-policies. Continuing Education is sometimes referred to as professional development and is intended for workers who are already employed and have a continuing need to enhance their job skills and improve their corporation’s performance. Continuing Education often results in certificates, licenses, or continuing education units (CEUs). Examples of Continuing Education classes at BridgeValley are Lean Six Sigma, SHRM Learning System, OSHA 10, OSHA 30, Distillation Column course, 3D Modeling courses, etc. For a complete list of workforce courses visit http://www.bridgevalley.edu/education-and-training. Workforce education can lead to associate degrees, certificate programs, or short-term programs and courses that prepare students for entry-level jobs. Workforce education at BridgeValley is geared toward short-term and non-credit programs that usually result in certification. Some programs are approved for academic credit. Examples of Workforce Education non-credit and short-term programs at BridgeValley include Real Estate Salesperson Pre-Licensure, Pipefitting, Pharmacy Technician, Certified Production Technician, Phlebotomy Technician, etc. For a complete list of workforce courses visit http://www.bridgevalley.edu/education-and-training. BridgeValley WEDD has partnerships with national educational organizations to deliver online training including Career Step’s Medical Transcription and Medical Coding, and The Quality Group for a blended offering of Lean Six Sigma and Project Management. In addition, BridgeValley WEDD offers quality online instructor-facilitated courses from Education To Go, a part of Cengage Learning. Individuals seeking higher education opportunities to learn relevant information needed for their work or for personal enrichment, but do not want college credit, can choose from hundreds of courses online. Categories of courses include, but are not limited to: Basic Computer Literacy, Design, Programming, Networking, Health Care, Nutrition & Fitness, Math, Philosophy & Science, Personal Development, Education, Foreign Languages, Accounting and Law. Complete details for each course in every category can be obtained on the web at: www.ed2go.com/BridgeValley. BridgeValley Community and Technical College System’s involvement with the Workforce Innovation and Opportunity Act (WIOA) and the regional Workforce Development Boards (WIB) is a commitment to ensure West Virginia’s unemployed, underemployed, and dislocated workers opportunities to train/retrain in a community college setting. These educational programs are limited to approved workforce programs. WIOA participants are also eligible for other forms of financial aid, including Pell Grants and work study. All applicants must first be certified eligible by one of the regional Workforce WV job centers. The West Virginia Legislature established a Higher Education Adult Part-time Student (HEAPS) Grant Program to address the needs of students who pursue programs of postsecondary education on a part time basis in high demand workforce oriented programs. Students must demonstrate financial need plus meet other qualifications as established in the legislation. The Workforce Development staff at BridgeValley Community and Technical College assists students to apply for these grant funds. Tuition and fees are due and payable by the student upon enrollment and registration for class (es). All tuition and fees must be collected prior to the first day of class(es). Exceptions may be granted where a bona fide third-party agency has provided authorization in writing that payment will be made by the student. Exceptions may be granted for financial aid disbursements for situations with no fault to the student. Exceptions shall be granted for deferred payment plans that shall be offered, (60/40 split - see Cashier for details). BridgeValley reserves the right to refer any unpaid balances to a collection agency. BridgeValley reserves the right to cancel classes with low enrollment. Advance registration fees will be refunded. Only students who officially withdraw from all classes at the college shall be eligible for a refund. Requests to withdraw from a class must be made a minimum of (5) five working days prior to the first day of class in order to receive a refund. Student withdrawal past this deadline negates a refund to the student. Disruptive students will be dismissed and no refunds issued. Workforce students should evaluate their grades after every assessment, (assignments, quizzes, and exams). Final grades of “S” for successful completion or “U” for unsuccessful completion are formally assessed at the end of each Workforce Division course as the instructor records the grade earned by the student. If a course has a clinical rotation as a part of the course, a formal review of progress is conducted with each student before a clinical assignment is made. This review provides evidence of skills and competencies acquired by student and that the student has satisfied program requirements. Students must demonstrate mastery as a minimum before they are sent to affiliated skilled nursing facilities and hospitals. Mastery for CNA classes is 75% and 80% for other Allied Health classes. Classes are cancelled due to weather only when BridgeValley classes are cancelled. Enroll in BridgeValley Connect to receive messages/instructions in the event of an emergency (weather cancellation). Please visit www.bridgevalley.edu/bridgevalleyconnect for details. Certain workshops qualify for Higher Education Adult Part-Time Student Financial Aid. Contact Krista Thornton at krista.thornton@bridgevalley.edu for further information. BridgeValley retains the right to use photos taken at classes for publicity purposes. BridgeValley Workforce Division, in collaboration with the veteran, BridgeValley staff and relevant instructors, will review the veteran’s transcripts for prior learning and competencies that would be duplicated in an applicable short-term, non-credit training program. This review may shorten the training period proportionally. Student records will be maintained, including but not limited to enrollment, attendance, and satisfactory progress. BridgeValley Workforce non-degree seeking students enjoy the same privileges and are held accountable under the same Board of Governors’ approved policies as all BridgeValley students. For all policy information, see http://www.bridgevalley.edu/catalogs and http://www.bridgevalley.edu/board-governors.